A painless way to download a file to read Chinese. What is PDF file? What is Acrobat Reader and why do I need it? Aladdin which is a just short drive from the airport (see map and a picture of Aladdin Hotel). There are many ways to get to Aladdin from the airport. Here are some suggestions. Taxi - The taxi fare is about $15. Shuttle services - The following airport shuttle information is obtained from the Internet. As an example, the LA Planning Committee has contacted Bell Transport. Detailed information on locating the service and price is provided below. This is only an example. See also the valuable tip from Sun Shao-Tang below. Taxis and walk-up limo and mini-bus services are available out the West doors of the airport near baggage claim. "Here is my suggestion. Don't make specific recommendations on shuttle buses (instead, tell them to hop on whichever bus is nearby) since their prices are all similar. One can just hop on whichever is convenient outside the airport door. Last year I walked 2 minutes with my luggage and got on a recommended shuttle bus, and only learned later that I could have just hopped on any bus right outside of the door I exited. Secondly, no need to buy round trip since there maybe other options (e.g., some of the people on canyon tour were dropped off at the airport right after the tour) and the round trip voucher limits you to one bus company, sometimes you have to wait when you need to go to the airport (because their shuttle is not available). There are plenty of choices for returning to the airport so it is more convenient not to limit your return bus." These are some of the shuttles that run between the airport and the hotel/casinos. Please call for more details. All prices are one way per person and are subject to change without notice. Caters to residents and visitors of the area who are going to non gaming locations. Information obtained on June 12, 2002 - Collect your baggage. Exit Door number 12. Find Bell Transport Booth. Purchase the voucher. One way voucher to Aladdin is $4.25. Round trip is $8.00. If you drive to Las Vegas for the Reunion, park your car in the multi-level parking garage at the rear end of the Aladdin complex. Follow the Self Parking signs. Remember where you park. You will then enter the Desert Passage shopping mall. Follow signs to Hotel lobby to register. If you have reserved hotel room when you registered for the Reunion, you DO NOT have to make reservation with Aladdin again. The Reunion Committee will provide Aladdin a list of names. The room list will be posted on the web site as soon as we have compiled the list. All you need to do is to check in at the front desk. Provide the exact same name in English that you have provided in the registration form. Aladdin is just a short distance from the Airport (see map and a picture of Aladdin). Click here to find out how to get from the Airport to Aladdin. All Aladdin hotel rooms have high-speed Internet access. The room is equipped with a monitor and a keyboard. There is a $10 charge per day. All Aladdin hotel rooms have bottle waters. However, they are NOT complimentary; meaning there is a charge if you drink it. If you like shopping, there is a shopping mall (Desert Passage) right in the Aladdin complex where the Reunion will be held. Therefore, ladies - bring an extra-large empty bag; especially for those who are coming to the Reunion from remote areas (like West Lafayette, Indiana). X-ray will ruin your films! How to cope? The March 2002 issue of TRAVELER (page 11) published by National Geographic provides information on the effect of X-ray on your photo film. 1. Buy your films at the destination. 2. Process the exposed films at the destination. Nowadays, one-hour photo shops are everywhere. 3. Use pre-paid mailers. When you finish a roll, put in the mailer and sent it out. Who knows? Maybe the pictures arrive home ahead of you. Kodak sells pre-paid mailers. Check with your local photo shops. More information on the effect of X-ray on films is available in the May 2002 issue of Popular Photography pp. 30-34. One of the most important advice is NOT TO PLACE THE FILM IN THE CHECKED LUGGAGE which will be subjected to much more X-ray exposure. 2. If your computer does not automatically display the characters in the above SINA web site, a dialog box will automatically pop up and ask you if you wish to download the necessary files. Just say "Yes" and the program does the rest for you. 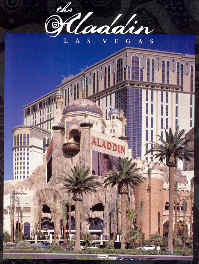 Click on this link to find details: http://www.lasvegas.com/travel/maps_strip.html. There are many things that you can do while in Las Vegas. The followings are some examples. 1. You can do a day trip to Hoover Dam in the morning while it is still cool. The trip will take approximately 3-4 hours. Back from the trip, you can have lunch at the Venetian's indoor river walk area. 2. Of course, there are many casinos for you to visit. 3. For those who want excitements, there are rides, such as VR racing or speed magnet roller coaster. 4. 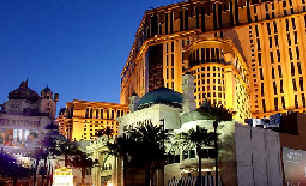 For those who like shopping, a good place to visit is the Forum Shops at the Caeser's Palace. PDF (Portable Document Format) is a file format that represents a document in a manner independent of the hardware, operating system, and application software used to create the file. Adobe Systems developed PDF to enable documents to be transferred and shared across computer platforms. You need a program called Acrobat Reader to read a PDF file. You can download a free copy of the Acrobat Reader by clicking this link. We have provided many documents in this web site as PDF files as alternatives.